Lisa Myers - All Purpose A collaboration between Sean Martindale, Yvan Mckinnon and Lisa Myers. A collaboration between Sean Martindale, Yvan Mckinnon and Lisa Myers. 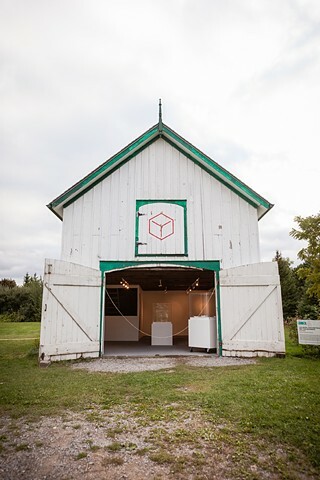 Using a carriage house at the Markham Museum we created a white cube gallery and served white foods to emphasize the enriched and refined ingredients similar to the white space of the gallery.